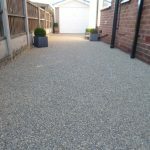 Our resin bonded stone improves patch and mend strategies by extending, improving and providing extra durablity to your concrete or tarmac driveway path or patio. The government says “The “Beast from the East” – the unusually cold spell early last year – was at least partly to blame for the spike”. 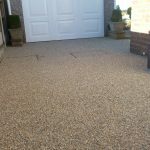 then consider resin bonded stone. 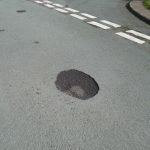 We have been working within the local area for over 18 years now. 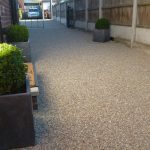 Our Resin Bonded Gravel can protect, anti slip and extend the life of your existing concrete or tarmac surface. Drive-Cote Ltd is an independent company. 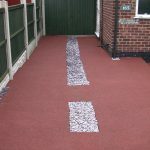 We are not a franchise nor are we affiliated to any other company completing Resin Drives, paths or patios. 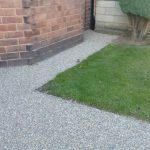 This entry was posted on Tuesday, March 26th, 2019 at 8:11 am	and is filed under Concrete, Diary of a Mansfield Resin Driveway Company, Driveways, gardens, Latest News, Mansfield, Paths, Patios, Tarmac and Asphalt. You can follow any responses to this entry through the RSS 2.0 feed. Both comments and pings are currently closed.